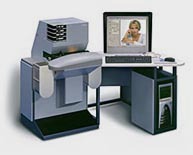 One of our popular services available is the bulk scanning of film. This is an affordable way of storing precious and irreplaceable images on disc at a usable resolution. The standard file size burnt to CD or DVD is 18 megabytes (example: 3090 x 2058 px for 35 mm frame) which will provide for printing at sizes up to 8” x 10” or 210mm x 297mm print plus an additional scan at 1 megabyte for screen and email use. This innovative new service at last provides an affordable way to protect and enjoy slides which have been in the ‘too hard’ basket until now. At Prolab, we have devised a simple and inexpensive way to digitally scan 35mm slides on to disc, giving customers the options of viewing on screen and/or sending for prints. The greater the quantity, the lower the price, as we try to cater for collections of 50 or more slides at a time. Details listed below but please call for a quote or to ask us any questions you may have. - 1 x 18mb file suitable for a print up to A4 print (297x210 mm).